We use a variety of literacy interventions at Thornleigh Salesian College - Toe-by-Toe, Lexia, Sounds-Write, paired reading primarily using Barrington Stoke books plus various other bespoke programmes. These are more often than not used with students who have 'dyslexic tendencies', commonly combined with a history of speech and language needs. 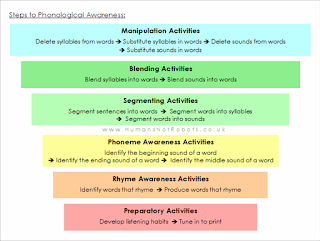 However, reviewing a student's formative assessment findings this past week has re-tuned me into the fact phonological awareness is sometimes not the priority when seeking to address persistent basic literacy difficulties. The use of a rapid naming test, from the CTOPP assessment kit, demonstrated that for some students the priority is addressing issues around processing. In basic terms and in relation to literacy, processing refers to the speed and accuracy with which the brain thinks of or sees / hears a word, breaks it down into discrete sounds, and then associate each sound with the visual representations (letters) that make up the word. For students who experience difficulty with both phonological awareness and processing, this is often referred to as a 'double deficit' - a classic theoretical model of what lies behind the more severe dyslexic-type difficulties. 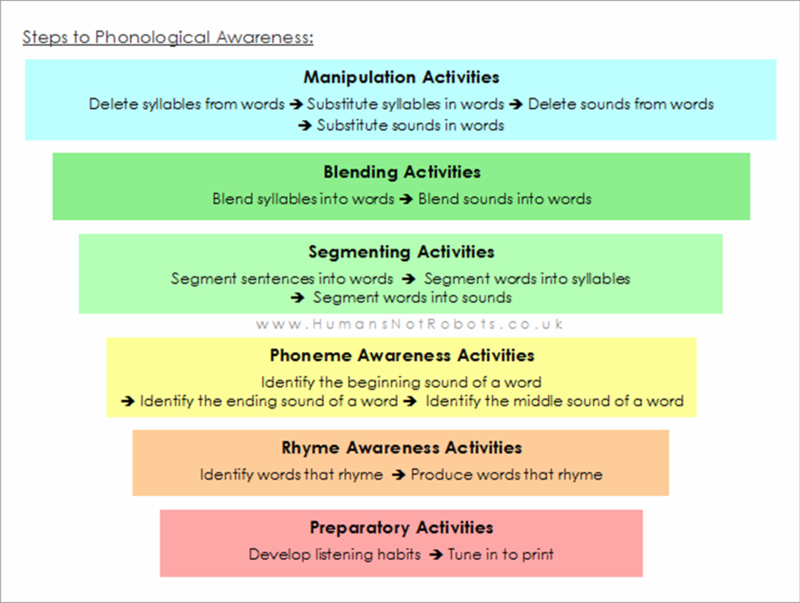 For those wanting to find out more, the processing aspect is associated with the 'phonological loop' - even more so when language and/or numeracy difficulties are also evident. Attempts to address processing deficits / difficulties centre around two key concepts within education - automaticity and overlearning. Automaticity refers to the concept of undertaking an action with little thought. There are some things we humans are pre-programmed to do with automaticity - breathing probably being the first one! But from there, skills like feeding, non-verbal communication, walking, speech all develop quite naturally in most children, so long as they are within a nurturing environment. This is a result of evolution - we have evolved to do these things quickly and with automaticity as part of our survival plan. "We were never born to read. Human beings invented reading only a few thousand years ago. And with this invention, we rearranged the very organization of our brain, which in turn expanded the ways we were able to think, which altered the intellectual evoltuon of our species. Reading is one of the single most remarkable inventions in history; the ability to record history is one of its consequences. Our ancestors’ invention could come about only because of the human brain’s extraordinary ability to make new connections amongst its existing structures, a process made possible by the brain’s ability to be shaped by experience. This plasticity at the heart of the brain’s design forms the basis for much of who we are, and who we might become." The key point here is that this is dependent on existing 'neurotypical' structures - but for those humans who are not 'neurotypical', the predisposition is less obvious, less conducive, less easily adapted to reading and writing. They can usually be coached and cajoled into developing these skills but it takes longer and requires a less typical approach. So, returning to practical matters, how can we address problems with processing - and in turn develop automaticity - amongst learners struggling to acquire literacy skills? The short answer is another key concept in education - overlearning. Overlearning refers to the continued practising or study of a skill or concept long after it has seemingly been learnt, so that it becomes to an extent mastered. 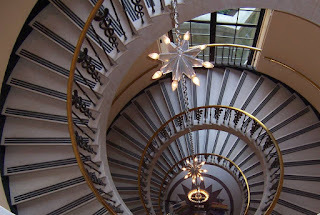 In many ways I think it is best represented by a forward moving spiral growing in size, or more simply, a spiral staircase. In terms of basic literacy, the Active Literacy Kit has automaticity built into it throughout with timed activities used as a matter of routine. We have recently purchased this and I will be doing some training with the team to get them au fait with it, ahead of using it with those students for whom rapid naming is a specific difficulty. In many ways, this is the 'medical model' approach in action with us actively seeking to 'cure' or 'fix' a difficulty experienced by individuals. It is an approach frowned upon in some circles but if we look at some of the new science of learning and the research around the teenage brain, there is good argument that some students can to an extent be 're-wired'. But there is also the need for 'social model' responses, in terms of how we shape our everyday curriculum to embody automaticity as a key principle, with sufficient opportunities for overlearning throughout. There is a well-reasoned and long-standing argument that a school culture centred only on targets restricts time for consolidation and enrichment - as one teacher put it, "It's as if a train is leaving the station at the end of every lesson, and every time some of the children are being left behind." If we are to genuinely effect positive change within young people, then room needs to be made for students to learn - and then re-learn - and then re-learn again to the point of mastery.